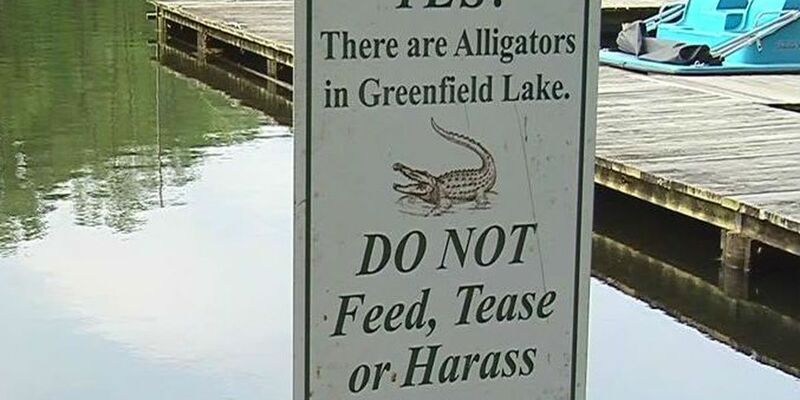 Wilmington's Greenfield Lake has an ample supply of alligators, and there are signs everywhere about the reptiles and the dangers of feeding them. RALEIGH, N.C. (AP) - Researchers at North Carolina State University say they found high levels of toxic chemicals known as PFAS in alligators and striped bass in the Wilmington area. PFAS stands for per- and polyfluoroalkyl substances used in firefighting, waterproofing and other industries. Experts have linked them to illnesses including cancers, and the U.S. Environmental Protection Agency is considering setting a national safety threshold. The source of the chemicals found in wildlife around Wilmington isn’t immediately clear, but they are produced upstream in a Chemours chemical factory and used at Fort Bragg.